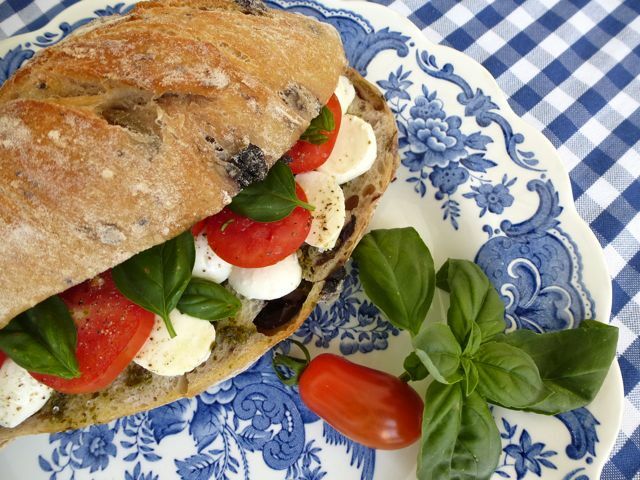 Home > Europe > What to eat in Mallorca? 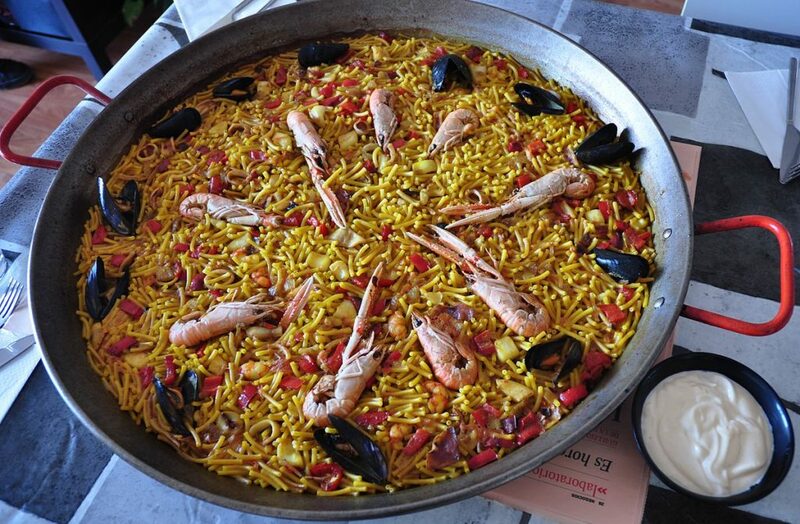 Fideuà is a seafood dish originally from the coast of Valencia which is similar to paella, and even more to arròs a banda, but with noodles instead of rice. Its main ingredients are: pasta noodles (usually hollow), fish (rockfish, monkfish, cuttlefish, squid), and shellfish (Squilla mantis, shrimp, crayfish). It is seasoned mainly with lemon. 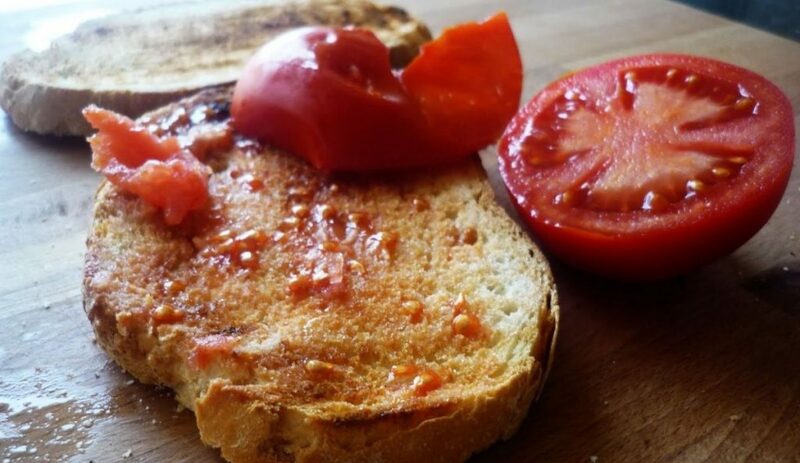 Pamboli is a traditional regional bread sandwich, with olive oil, fresh tomatoes and other ingredients. 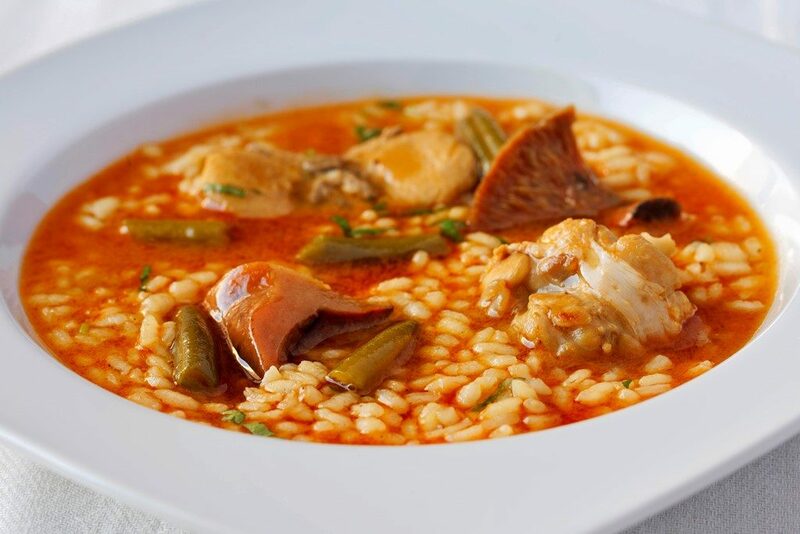 The brut rice (in Catalan arròs brut, literally ‘dirty rice’) is one of the most typical dishes of Mallorca. It is a rice soup and spiced meat, originally cooked with products from the garden. Bunyol is sweet dish is typical for Spain, but it is also believed to be derived from the Arabic culture. Bunyolsis a simple dessert made of dough and shaped into balls. Llonguet is a type of oval small bread with a groove on top. This pie is an ancient food whose origin is in dispute between the Jewish, Muslim and Christian communities of the Mediterranean basin, although it is known that the Romans made stuffed bread with egg, so we are not going to get into this dispute. 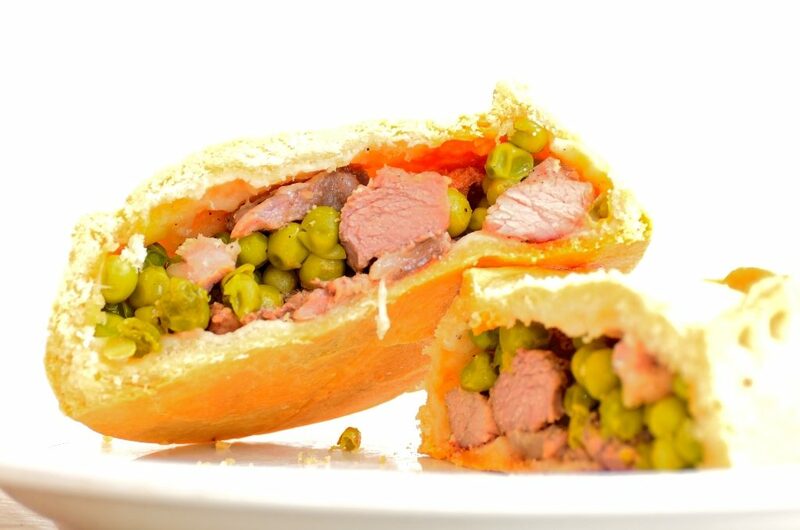 All countries in the world have their own pies in their culture as the “panades” are part of the culture in Mallorca and one of our most famous recipes. Aioli or aïoli is a Mediterranean sauce made of garlic and olive oil; in some regions other emulsifiers such as egg are used. The names mean “garlic and oil” in Catalan and Provençal. 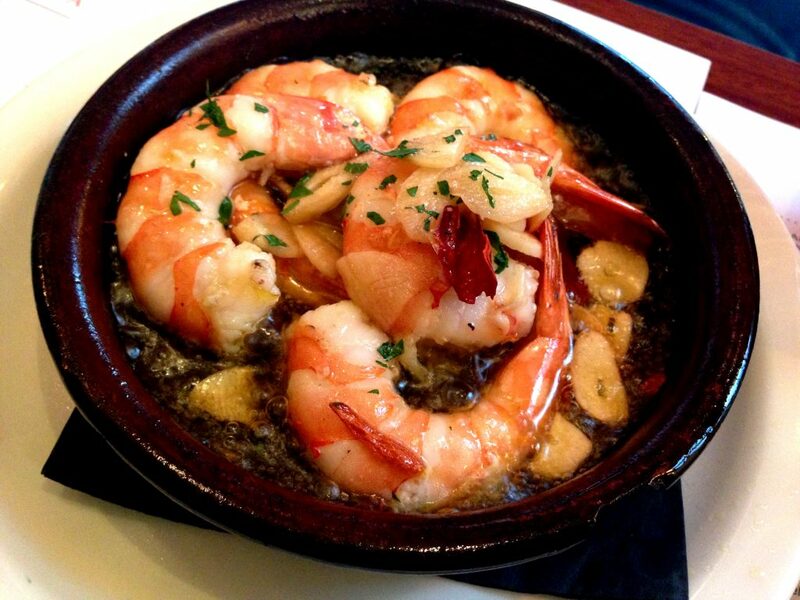 It is particularly associated with the cuisines of the Mediterranean coasts of Spain (Valencia, Catalonia, the Balearic Islands, Murcia and eastern Andalusia), France (Provence) and Italy (Liguria). 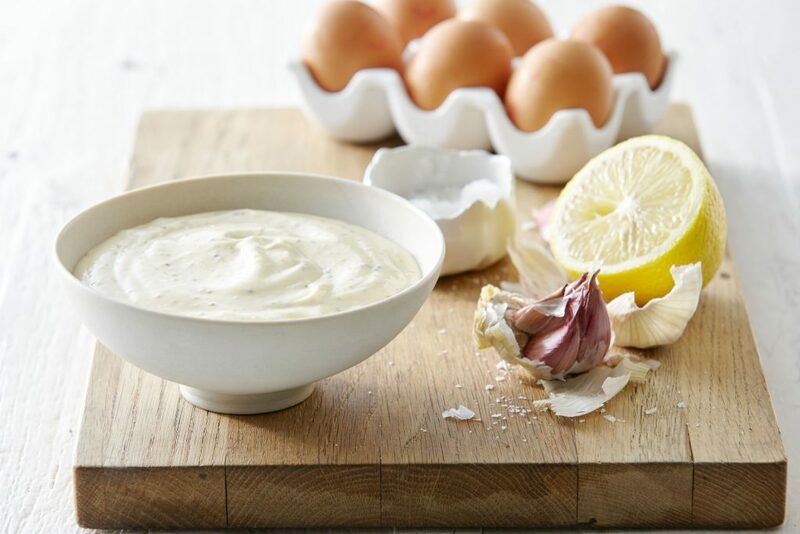 Current versions of the French-Provençal sauce are typically closer to a garlic mayonnaise, incorporating egg yolks and lemon juice, whereas the original French Provencal and Spanish Catalan versions are without egg yolk and have considerably more garlic. This gives the sauce a pastier texture, while making it considerably more laborious to make as the emulsion is much harder to stabilize. There are many variations, such as adding lemon juice or other seasonings. It is usually served at room temperature. 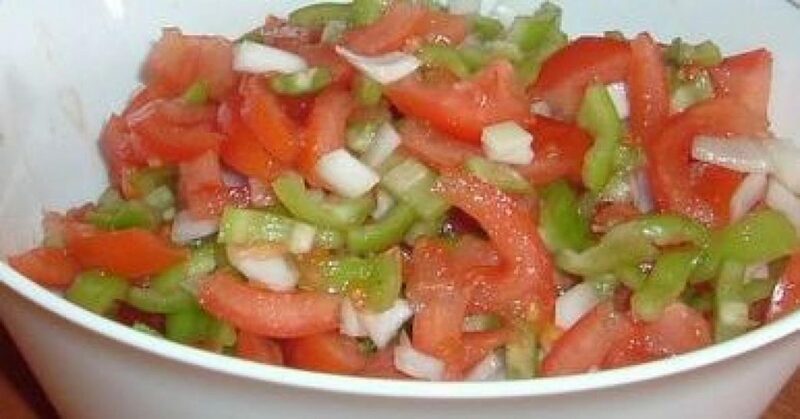 A tomato, onion and green pepper salad with extra virgin olive oil and a pinch of salt as the only dressing. 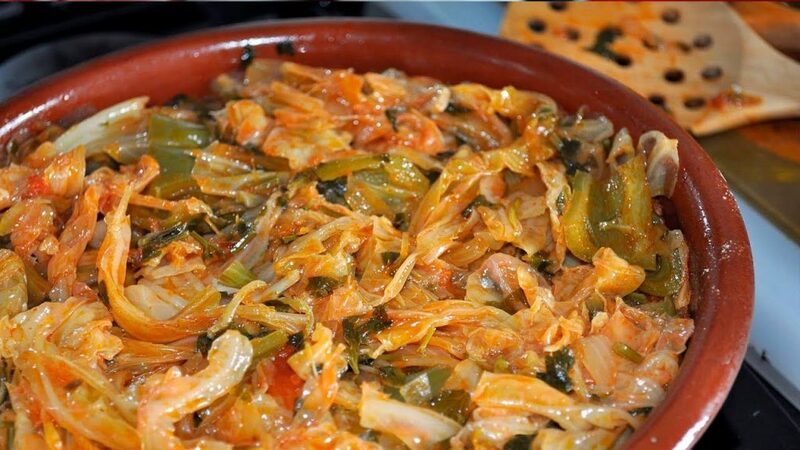 Frito Mallorquin is an extremely delicious fried meat and vegetable dish that is enjoyed widely by the local in Majorca. 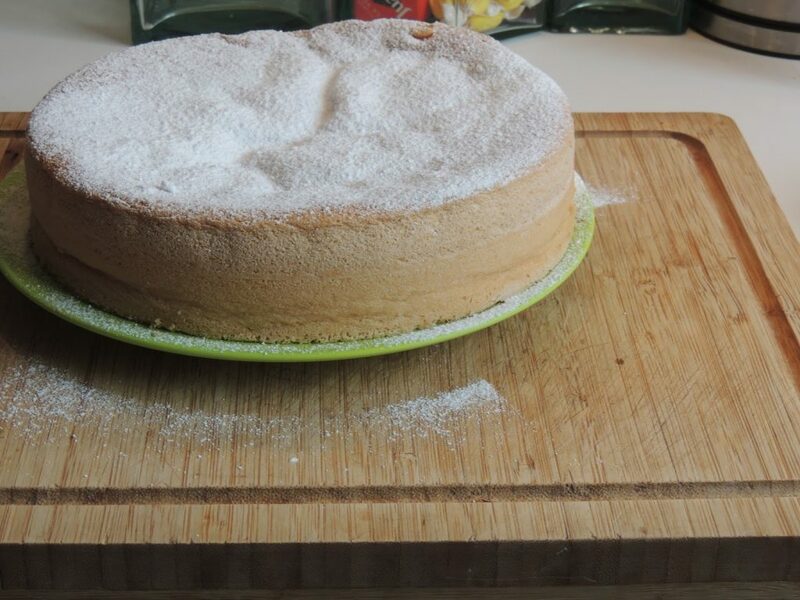 Traditionally eaten for breakfast or for ‘merienda’ (afternoon snack) with almond ice cream and hot chocolate, this cake is extremely light and fluffy. Sopas Mallorquinas is a common country dish in Mallorca and is designed to use up leftover vegetables and bread and this is exactly what I use it for. 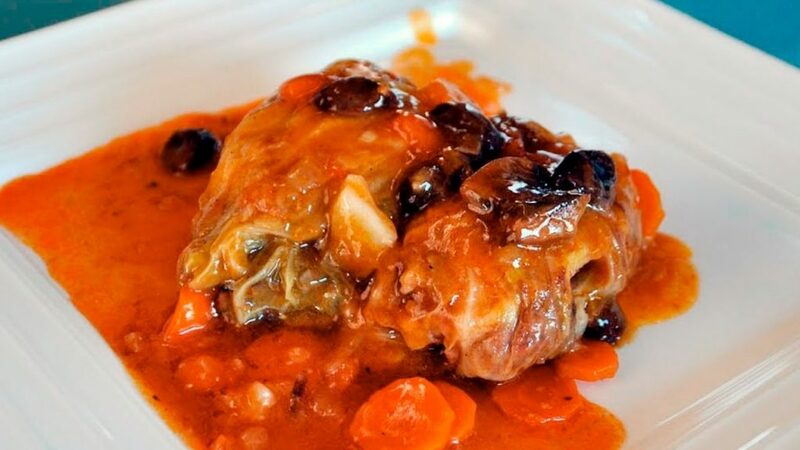 The ingredients can be varied and it is common on the Island to include artichokes and asparagus and sometimes even pork depending on what is available. Gazpacho (Spanish pronunciation: [ɡaθˈpatʃo]; Andalusian: [ɡaʰˈpːa(t)ʃo]) is a term used for a number of dishes originating in southern and central Spain, as well as possible, of which the most famous is Andalusias Gazpacho – soup made of water, olive oil, vinegar, bread and a number of raw vegetables and served cold, originating in the southern Spanish region of Andalusia. 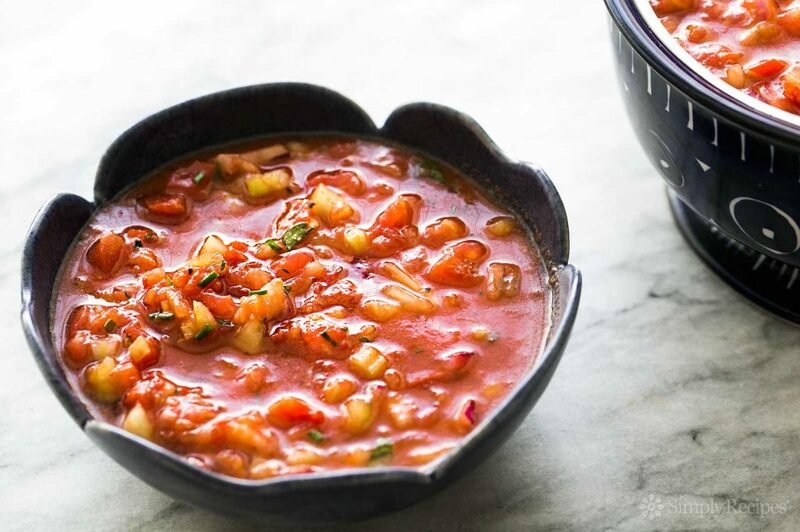 Andalusian gazpacho is widely eaten in Spain (Portuguese: [ɡɐʃˈpaʃu], gaspacho), particularly during the hot summers, as it is refreshing and cool. 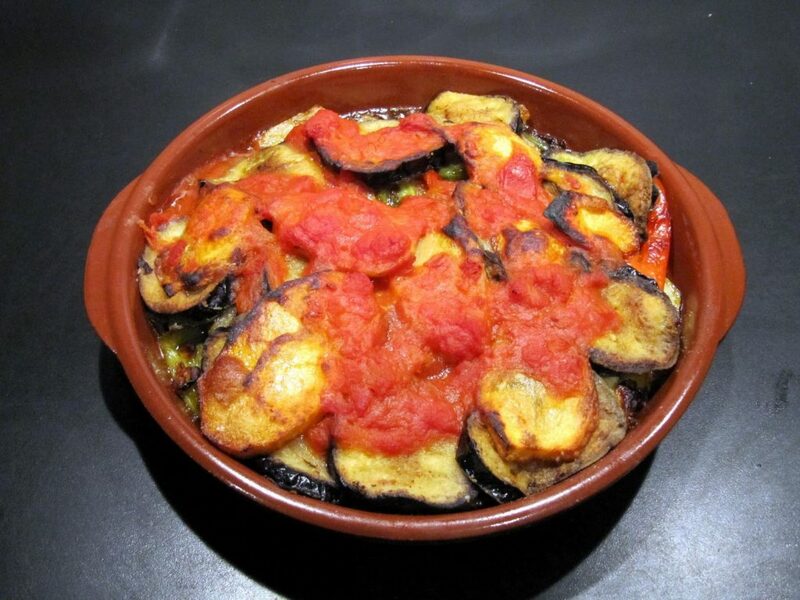 Tombet is a traditional vegetable dish from Majorca. It is available at almost every local restaurant on the island. 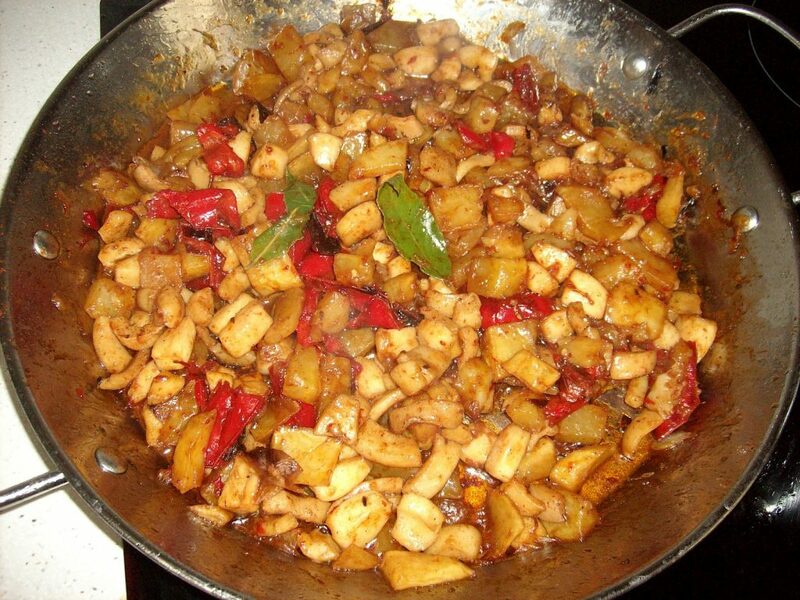 Tombet is often served along with fish or meat, but on its own it makes a good vegetarian dish. 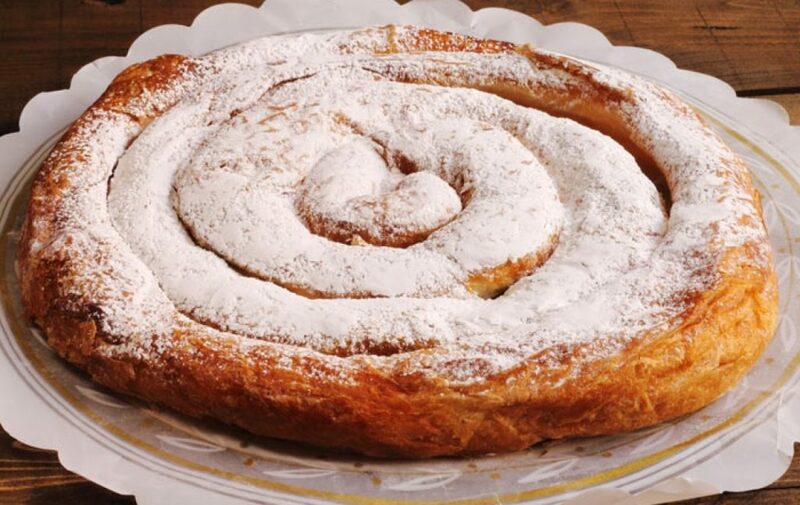 Ensaimadas are a pastry or sweet bread which is made in Majorca. The traditional ensaimada was made with reduced pork lard which gives rise to the bread’s name. The word for pork lard is ‘saïm’ hence the name ‘ensaimada’. 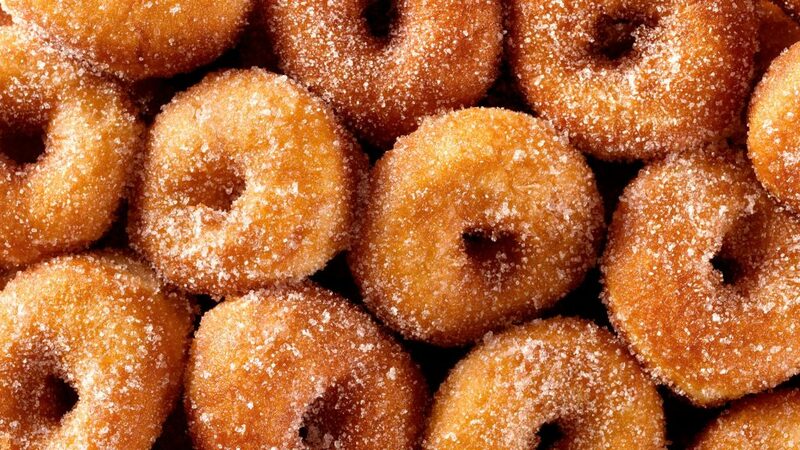 Nowadays these sweet bread coils are mostly eaten at breakfast and if you order them when you travel to Spain you will most likely find them served with hot chocolate or coffee which is provided for dipping. Robiols are a typical Mallorcan pudding at Christmas and Easter. 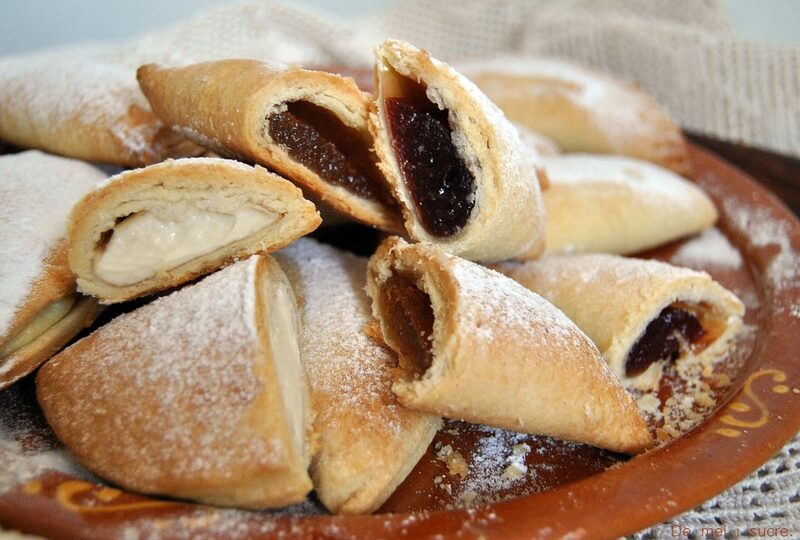 They are sweet and filled with cheese, jam, pudding or ‘angel’s hair’. 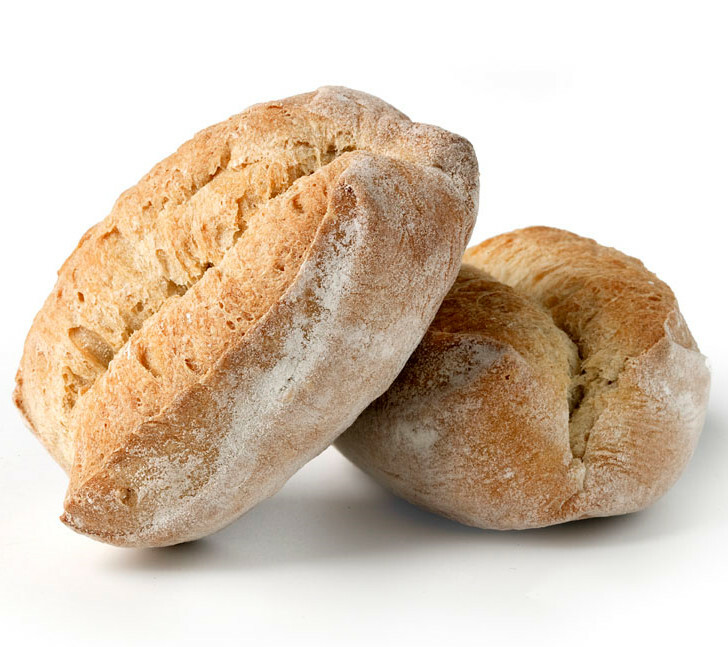 Pa amb oli means “bread with olive oil” in Majorcan, and it is as commonly eaten in the Balearic Islands as pa amb tomàquet is in Catalonia.